1. In a large bowl, combine all the dry ingredients and the blueberries. 2. In a small bowl, combine the melted butter, milk, and eggs. 3. Add the wet ingredients to the dry and mix. 4. Add the bananas and combine well, but do not beat. 5. Fill muffin tins ¾ full and bake at 350 degrees for about 18 minutes. 6. 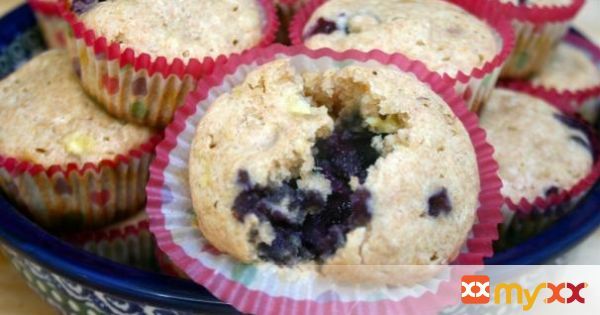 Here’s a tip: freeze half of the muffins for another morning. 7. They are really good warm from the microwave. 8. Place a few on a plate covered with a slightly damp paper towel and zap for 30 seconds.